BOCA RATON, Fla. -- When Minnesota Wild general manager Chuck Fletcher traded Matt Hackett at the NHL Trade Deadline last season, he was sending a signal to Darcy Kuemper that he would be the marquee goalie in the organization's developmental system and featured between the pipes with the Iowa Wild of the American Hockey League. It's fair to say things have changed since then. Less than a year after Fletcher dealt Hackett to the Buffalo Sabres, Kuemper is Minnesota's No. 1 goalie, facing the challenge of giving the team a chance to win every game he starts as they creep closer to a second straight trip to the Stanley Cup Playoffs. Assuming the Montreal Canadiens re-sign Andrei Markov, I'm not sure there is a major defenseman that the Flyers could target. Going after Markov would be interesting, but I'd bet that he re-signs in Montreal. The Flyers should attempt to re-sign Andrew MacDonald, but he's not a No. 1 or No. 2. He's a solid second-pair blueliner. There are some other interesting defensemen expected to hit the unrestricted free agent market July 1, but other than Dan Boyle, who will be 38 years old this summer, there aren't many big names. An interesting guy to consider would be Matt Niskanen of the Pittsburgh Penguins because he could do some of the things that Kimmo Timonen does. Timonen, remember, is a UFA after the season. As for growing from within, you're looking at Erik Gustafsson and Luke Schenn as Philadelphia's young defensemen, but neither is a cornerstone guy. They don't have a cornerstone D-man in their system now that is close to being NHL ready. Samuel Morin should be that player, but he's 18 years old and a ways away from playing. No, I don't think he is getting enough consideration for the Calder Trophy. I like Maatta's game and I was particularly impressed with him at the 2014 Sochi Olympics. He has been a big surprise in Pittsburgh and should be in the Calder discussion. However, Nathan MacKinnon of the Colorado Avalanche appears to be running away with it right now. Tyler Johnson is a 20-goal scorer for the Tampa Bay Lightning. Chris Kreider has been very good since being put on the New York Rangers' top line with Derek Stepan and Rick Nash. But I think Maatta should be talked about more, especially because of how he's played in a bigger-than-expected role because of all the injuries Pittsburgh has had on the blue line. Maybe this question and answer will drive some of the discussion. I wouldn't read too much into it now. I'm sure it will become an issue if the Blues get to the Western Conference Final and have to face the Anaheim Ducks, Los Angeles Kings or San Jose Sharks, but for now it shouldn't be a big concern. I'd look more at their record against teams in their division that they could see in the playoffs, such as the Avalanche, Chicago Blackhawks, Dallas Stars and Minnesota Wild. The Blues are 10-0-1 against those teams, against which they still have a combined seven games remaining. I don't think the Canucks can or will rebuild around Kesler. I anticipate he will be traded this summer. He was on the block before the NHL Trade Deadline, and they were fielding offers for him. There was reportedly quite a feeding frenzy to get him, but Vancouver GM Mike Gillis held on to Kesler and could drive up the price on him this summer, likely around the draft. As for the Sedins, I'm not sure how Henrik and Daniel feel about what is transpiring in Vancouver right now. If the Canucks are going to trade Kesler, and they have already traded Roberto Luongo, it makes you wonder if the twins would want out too. Earlier this season, they signed four-year contract extensions, but they're 33 years old, and I'd bet that they aren't too keen on being part of a rebuilding process. The Ducks are definitely still contenders, but I think they took a step back at the deadline when they traded Dustin Penner and didn't acquire one of the marquee left wings who were available to replace him. Ducks GM Bob Murray certainly tried to get someone in to play with Ryan Getzlaf and Corey Perry, but Thomas Vanek went to the Canadiens, Matt Moulson went to the Wild and Mike Cammalleri stayed with the Calgary Flames. Had the Ducks acquired any of them, I think it would have boosted their chances of getting to the Stanley Cup Final. Now I do wonder if they are good enough in what is a brutally tough Western Conference. Simple? Uh, no, not so simple. This is maybe the toughest prediction to make at this time of the year. I'm going to say that yes, the Red Wings will find a way. I believe in Mike Babcock as a coach and I think some of their lesser-known players like Tomas Jurco, Gustav Nyquist, Tomas Tatar and Riley Sheahan have the ability to step up. For me, Babcock is doing one of his best coaching jobs of his career this season. To have the Red Wings in playoff contention in spite of the massive number of injuries to key players, star players, is impressive. I think they'll get in, but I obviously would not be shocked if the playoff streak ends at 22 seasons either. I have to. Why make the predictions if you're not sticking to them? I said it'll be the Sharks vs. Red Wings in the Stanley Cup Final and I'm sticking with it. The better question is do I feel good about it. The answer is no, obviously, because Detroit is far from a lock to even make the playoffs. "Over the last few seasons, Matt Hackett played more games than Darcy in the American League, and Darcy had to go to the ECHL and play overage as a junior," Fletcher told NHL.com. "He had never been our marquee guy in the developmental system. We really felt he needed that. He needed a year where he'd be a 40-50 game guy for his development, knowing fairly soon he'd challenge in Minnesota. Now, of course, the future came very quickly." Kuemper has been tossed into the fire because Josh Harding re-engaged in his battle against multiple sclerosis and Niklas Backstrom sustained a season-ending abdominal injury. The good thing is Kuemper hasn't been burned yet. Kuemper has allowed two or fewer goals in 11 of his 19 starts. He is 11-4-3 with a 2.32 goals-against average, .920 save percentage and two shutouts in 20 appearances. "I give Darcy credit. Our team was struggling, Josh was ill, Niklas was battling through some injuries, we threw him in in a road game in L.A. [on Jan. 7], he made 39 saves and we won 2-1 in a shootout," Fletcher said. "From that point on he's given us a chance to win every game he's played and he's won a lot of them." Fletcher, though, hesitated to say Kuemper is definitely the guy the Wild will ride into the playoffs. He acquired Ilya Bryzgalov before the NHL Trade Deadline last week to serve as Kuemper's backup. Fletcher doesn't appear ready to simply hand the keys to Kuemper just yet, not with the Wild scheduled to play their final 17 regular-season games over the next 35 days, including four sets of back-to-backs. He said Kuemper has earned the right to play now, but young players in the NHL are only as good as their last game. Kuemper is no sure thing just yet. "We'll see how things play out," Fletcher said. "We've got an incredibly compressed schedule. Clearly, we're going to need both of them (Kuemper and Bryzgalov) to win games. My sense is the coaches will go with the hot hand, but Darcy to this point has certainly earned the right to be strongly considered." There are also no guarantees that Kuemper will continue to be the Wild's No. 1 next season even if he has a strong finish to this season. Harding and Backstrom are still under contract and are expected to be back in the fold unless Fletcher makes a move in the offseason. Harding is the wild card because of MS, but Fletcher said he's hopeful that the goalie can be ready to go by at least the fall. "Obviously, the longer it goes for this season, the more difficult it's going to be to expect him to come back and play, but Sept. 17 is the first day of training camp for next season, and if he isn't able to play this year, we're hopeful that he'll be able to come back in September healthy and prepared to play," Fletcher said. "But there is so much unpredictability there, and he's doing everything he can. Our first hope is that he gets to be healthy, but I know the way he played this year and how young he is, it would be really exciting to get him back and see what he can do." There was some discussion Monday at the GMs' meetings about the effect the NHL's new divisional-based format for the playoffs is having in the Western Conference, which clearly been the more dominant conference this season. However, a closer look at the division-based system shows that, at least right now, there isn't much of a difference when comparing the old playoff format to the new format. If the playoffs began Wednesday, the new format has the San Jose Sharks with home-ice advantage against the Los Angeles Kings and the Chicago Blackhawks with home-ice advantage against the Colorado Avalanche. That means at least two of the top eight teams in the NHL would be knocked out in seven games or less. That may not be ideal, but it's reality. However, if you rank the teams based on the old format, the same scenario exists with the only difference being the matchups: The Avalanche would have home-ice advantage against the Kings and the Blackhawks would have it against the Sharks. In addition, the other two first-round matchups in the Western Conference would be the same under either format; the St. Louis Blues would be playing the Dallas Stars and the Anaheim Ducks would be playing the Wild. "It's not going to be an easy journey no matter what," Sharks GM Doug Wilson said. However, there does appear to be a distinct advantage to the teams that finish first in the Central Division and the Pacific Division because it means they avoid playing one of the top eight teams in the League in the first round. That's why a GM like the Blues' Doug Armstrong is putting a strong amount of emphasis on finishing well and winning the Central Division. The difference between playing either Chicago or Colorado instead of Dallas, Minnesota, the Phoenix Coyotes, the Winnipeg Jets or the Vancouver Canucks could play a major role in St. Louis' hopes of advancing beyond the first round. "I think there are probably six teams in the Western Conference, and I might be shy of one, that believe they should represent the west in the Stanley Cup Final," Armstrong said. "The amazing thing is half of those teams aren't even going to make it to the second round." Goalie Ryan Miller has already expressed an interest in re-signing with the Blues, an idea that certainly appeals to Armstrong, who said he has informed Miller and his agent that he's ready, willing and able to begin contract negotiations whenever they are ready. "I talked to Ryan, but more importantly I talked to his representative, Mike Liut, and I said, 'We're here to talk,' " Armstrong said. "Some players like to talk now. Their mindset doesn't change whether they're negotiating or not negotiating this time of year. I said our focus is on this season, to be the best we can be in the regular season and into the playoffs, and I left it up to Mike to just let the dust settle, let him get comfortable, and he and I will talk and decide if it's something we want to talk about now or in the future." Armstrong said he has no hard and fast rule for when negotiations can and should take place, but added if Miller and Liut opted to hold off on negotiating now he would understand and it wouldn't be a problem. "It's sort of like when you make a trade, you do it when it's right, whether it's before Game 6 of the first round or tomorrow," Armstrong said. "It's when everybody is comfortable you do it, but that's where we have to rely on the player to be up front. It never affects me. It's not an issue for us right now is what I'm trying to say. "We have Steve Ott, who we just traded for, and hopefully he's comfortable and will want to sign, but we have other guys that are going to be unrestricted too. I don't draw a line in the sand for the player or the organization that if it's not done by this date we won't talk, because just a phone call can change something. As Bill Parcells says, 'I don't like to have team rules because then I have to follow them.' "
Canucks coach John Tortorella's decision not to start Roberto Luongo in the 2014 Tim Hortons NHL Heritage Classic on March 2 is one of the reasons why Tim Thomas is now the starting goalie for the Stars. 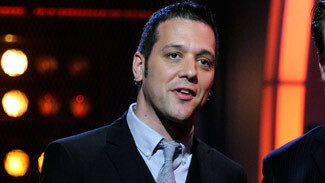 Calgary Flames President and acting GM Brian Burke on Rogers Sportsnet hiring George Stroumboulopoulos to host "Hockey Night in Canada:"
"I think he's brilliant. I don't think there are a lot of guys who could switch from a news format to a sports format, but he can. He's a brilliant guy, I think. I think those real top guys in broadcasting can do just about any job, and he's one of the top guys. You watch him, he's got a great sense of humor. He's very bright. I had no idea that was coming, but I'm a big fan of his. It surprises me, but that's good news." "I am more and more at ease with my fellow GMs in my line of work. I know I fit in, but at the same time I know what's my place. I have a lot of respect for the job and for those who do it for such a long time. I listen. I take notes. I understand." Luongo reportedly asked to be traded after Tortorella chose to start rookie Eddie Lack over him in the game against the Ottawa Senators at BC Place. Had Tortorella started Luongo, the trade request likely would have never happened, and Luongo would not have been dealt to the Florida Panthers. If the Panthers didn't acquire Luongo, they would not have had any reason to trade Thomas to the Stars in exchange for Dan Ellis. Of course, Kari Lehtonen's injury (concussion) gave Thomas the chance to start in Dallas shortly after he arrived last week, but if Tortorella chose Luongo over Lack, the Stars would be playing must-win games now with Ellis as their No. 1 instead of Thomas, a two-time Vezina Trophy winner who has also won the Stanley Cup and Conn Smythe Trophy. "That's where the game changes," Stars GM Jim Nill said Monday, before leaving the GMs' meetings because of the medical incident involving Dallas center Rich Peverley. "Things change quickly in this business. It just so happened that that [Luongo] trade happened and that gave us an opportunity, and we were able to make the trade." Nill said the Stars spoke to Lehtonen before the trade and told him the competition would be good. He also felt acquiring Thomas would take some of the pressure off Lehtonen. Instead that pressure, at least until Lehtonen is able to return to play, is squarely on Thomas as the Stars battle for a playoff spot in the Western Conference. Nill feels much better having Thomas instead of Ellis. He has Tortorella and Luongo to thank. "We're in a situation where it's important for us to get in the playoffs," Nill said, "and we think if we can get in the playoffs we can do some damage." With Josh Gorges sidelined for at least four weeks following surgery Monday on his fractured left hand, Montreal Canadiens general manager Marc Bergevin said recently acquired defenseman Mike Weaver might have to step up and play a bigger role on the Habs' blue line. Bergevin got Weaver from the Panthers last week in exchange for a fifth-round draft pick in 2015. The Canadiens still have 38-year-old Francis Bouillon, who will be in the lineup Wednesday for the first time since Feb. 8. Weaver, though, will likely get a chance to play soon, Bergevin indicated. "Mike Weaver was an insurance policy," Bergevin said. "You pay thousands of dollars to insure your car and some never have to use it. Is it a waste ? Not at all. Yes, we had already Francis Bouillon as a seventh D, but the injury to Josh shows how important it is to have such an insurance policy. "Francis Bouillon is in the same spot where I was at the end of my career; he wants to play, and I praise him for that. He is a real pro. He trains hard and stays ready." Bergevin likes Weaver as a replacement for Gorges because he can play on the penalty kill and block shots, two areas where Gorges excels. The Canadiens are third in the Atlantic Division behind the Bruins and Toronto Maple Leafs. They have a four-point cushion over the Philadelphia Flyers, who hold the final wild-card spot in the Eastern Conference entering Wednesday. "We hope that it won't be longer [than four weeks] so [Gorges] could help us in the playoffs, if we make the playoffs," Bergevin said. "Josh is a big loss, and we can't take our playoff position right now for granted." * The falling value of the Canadian dollar might have a small impact on next season's salary cap, NHL Deputy Commissioner Bill Daly said Tuesday. Daly estimated the impact could be between $1 million and $2 million. In December, NHL Commissioner Gary Bettman told the League's Board of Governors that the salary cap for next season was projecting to be in the neighborhood of $71 million. As of Tuesday, the Canadian dollar was the equivalent of 90 cents U.S.
"Depending on what happens with the [Canadian] dollar between now and June at the time we have to set the cap and what that does to year-end revenues and projections for next year, it'll have an effect," Daly said. "It shouldn't be that major though." * Washington Capitals GM George McPhee told NHL.com he thinks defenseman Mike Green is getting closer to playing the way he did a few years ago, when he was a 30-goal scorer, a 70-point player and a finalist for the Norris Trophy. Green has no points and is minus-3 in the past three games after scoring five points in his previous two. "He's skating better and he's more of a threat," McPhee said. "He scored a goal in Philadelphia the other day. It just looks like his game is coming back." * One of the topics at the GMs' meetings that hasn't been heavily reported has to do with how many draft prospects teams can and should bring in for personal workouts before or after the NHL Draft Combine. According to Sabres GM Tim Murray, who was an assistant GM with the Senators until earlier this season, the Sabres brought in 85 players for workouts last spring while the Senators brought in six. Murray emphasized that if an owner is willing to spend to bring in prospects it can give that team an advantage going into the draft. The GMs are expected to discuss the draft combine Wednesday and it's likely this topic will come up. The question is should they put a cap on the number of draft prospects teams are allowed to bring in for workouts?